This subject is very relevant to me right now and can be a bit controversial depending on how you stand on raising children. Right now, my daughter has by-passed the terrible twos and instead is making true of the terrible threes, which I naively didn’t think would be so terrible. Since she started talking, I thought it would be so much easier to handle miscommunication, thus reducing her frustration and mine. Wrong! With that and having to deal with my husband’s Swedish parenting style, it has been a pretty tough challenge for me as a Filipino-American gal. I so had a completely different upbringing. So many of you who are in a mixed-cultural relationship with kids probably can relate to this article as it is always hard to strike that balance! My Swedish man’s method is radical for many of us who grew up in strict households where children feared their parents’ wrath and the big ol’ belt. He is considered a Curling Parent. Drawing an analogy with the sport of curling, the phrase refers to parents who rush ahead of their children, frantically sweeping their path clean of even the most minor obstructions so as to not disturb or displease them and avoid confrontation. It also goes even further by rejecting adult authority in all its forms, making parents “slaves” to their children. The children inadvertently rule the house. Yes, I know it’s hard to believe. Let me tell you a story that my Swedish girlfriend told me which illustrates this parenting style. 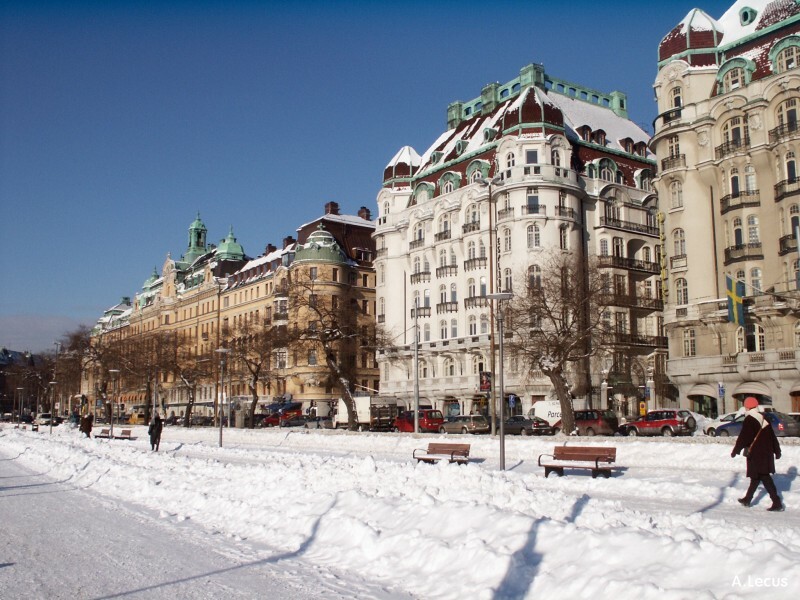 When she was about 4 years old, she lived on the fourth floor of an apartment building in Stockholm with no elevator. It was winter and cold out, so you can imagine how a Swedish parent would need to dress their child and furthermore, how LONG it would take to get her winter-proofed and out the door. So my little friend said, “I want to go out!” and of course, her mother obliged and said, “Okay!”, proceeded to dress her in several layers of clothes and then trot her down the stairs along with the stroller. Not even 2 minutes outside of the lobby door did my little friend say, “Mamma, I want to go in!”. Her mother said, “Okay!” and proceeded to shuttle her back into the building, up the 3 flights of stairs with the stroller and took off all her winterwear. Not even 3 minutes inside the apartment, my little friend screamed “I want to go out, Mamma!”. So, being the sweet Swedish mamma that she was, she obliged again to redress her, go back downstairs, and out the door yet again. But guess what happened next? Yup. My little friend wanted to go back in again. And the whole process was repeated FOUR MORE TIMES. Yes, I said FOUR. My little friend knew it was crazy because even at 4 years old, she thought this was pretty outrageous :-). This is what I mean when I say, Swedish parents can sometimes be slaves to their children. First of all, this would never happen with me. My husband would probably do the exact same as my friend’s mother (he says, though, he wouldn’t do it four times, maybe just two or three, ha!). This is the thing he does. He can’t upset her, he can’t say no (unless it’s dangerous or abusive (like hitting someone). Yeah, some people call it spoiling. I can see that it’s good, but really?! Being a slave to your child’s whims is okay? I draw the line. I want my hubby to also draw a line, but it’s so hard. He’s just so gentle, it’s a bit frustrating. 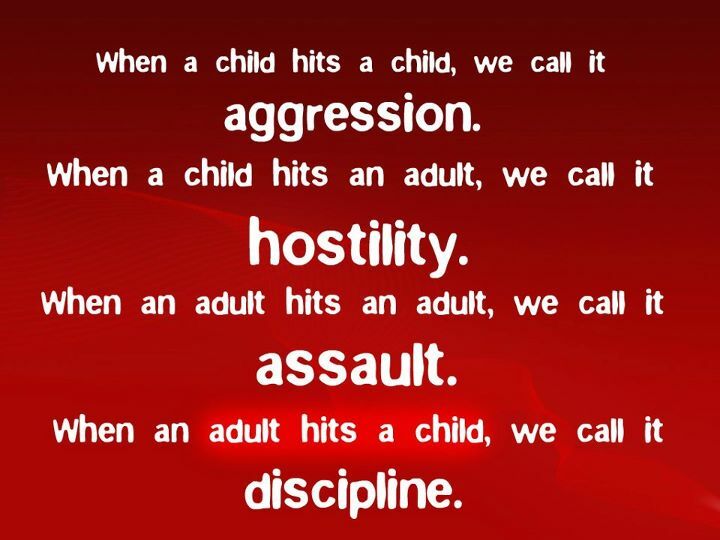 Dealing with this parenting style is something extremely difficult to deal with, especially when finding ways to “discipline” your child. I believe in at least having limits and some flexibility, but I don’t want our child “ruling” the house. Where do we find the balance? To tell you how strongly my husband feels about certain methods, he agrees with some Swedish psychologists who believe that “time out” has the same harshness as “house arrest”. This punishment is too negative to be a good learning moment. My husband thinks positive reinforcement is the only way to go. One of his best friends in Sweden has even recommended a book for me to read to help with rearing our child called The Optimistic Child: A Proven Program to Safeguard Children Against Depression and Build Lifelong Resilience by Martin Seligman. He believes in the same principles. I guess I have a lot to learn to de-program my mindset. I don’t believe in spanking, but I still find it hard to do it the Swedish way. It’s one of those things where you have to do a lot of reading and figuring what works and does not work. 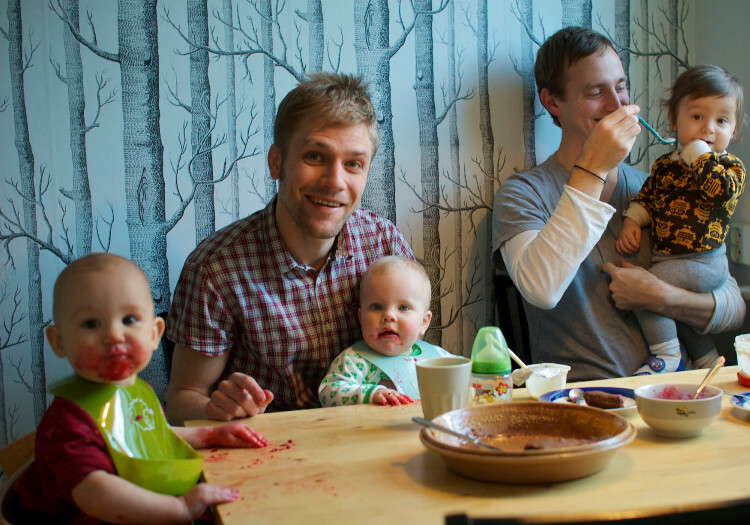 To learn more about Swedish parenting, this article goes through the history of Swedish parenting and latest psychological developments. I am very impressed that Sweden was one of the first countries to actually ban corporal punishment and honor children’s rights. Your child can practically get you arrested in Sweden if you raise your hand at him or her. Equality for all is evident in its laws and society. 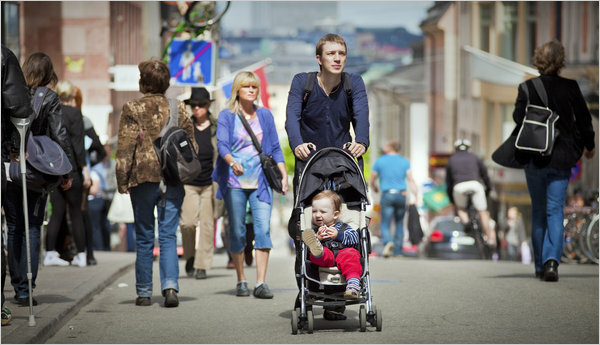 Another reason to love Sweden, a great place for a child to grow up in! ← Swedish Toilets – Why They Rule! Me (Swedish) and my husband (Chinese Canadian) have more or less the same approach to parenting. He is a bit more strict and I’m a bit more allowing though. The main difference is that I avoid a lot of trouble by limiting the word “no” when I speak to our daughter. Explaining to her why she cannot works so much better. My husband (Canadian), on the other hand, tends to tell her “no” so many times that she ends up crying and he ends up frustrated because she isn’t listening. Ewa, I agree and think not all Swedes are this way, but the term Curling came from a child psychologist who made this observation. It is maybe an extreme example, but in some ways reminds me of my husband because he sometimes says “yes” too many times and not enough “no”s. I think it is a delicate balance, and there are things I need to learn (like how to not show too much emotion or anger when she does something wrong) and Jan to learn (learning when to set limits and being a bit more firm). Child rearing is so difficult sometimes! Thanks for the book tip, I will definitely look him up!